Our elections will soon be upon us. While I find myself deeply engaged with the social changes that are needed in our country, I also find myself tired and often nearing my limit. These are truly trying times for our nation. I allow myself time to listen to news and read updates, but also follow these very upsetting times with silence, with journaling, and with nature. 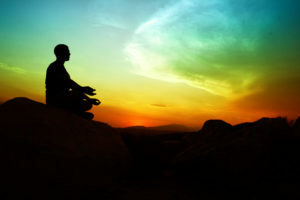 I want to remain present to my own self during this period of time, and help to create a peaceful presence in our world. I am offering a Meditative Journaling Workshop on the day of our national election. I hope that others will join me after casting their ballot. Together we can join our energy as we silently engage with our deepest self and work to maintain this consciousness….no matter the outcome of our election. We will meet in Sturgeon Bay, WI at Glas Coffee from 1-2:30PM. Please see the “Upcoming Events” page of this website. And I look forward to joining with you. This entry was posted in Uncategorized on October 10, 2016 by Marggie Hatala. Good ways of taking care of ourselves. Thanks Marggie. Thanks Wendy, I know how badly I need to keep this focus and to help bring the light into this time. I look forward to sharing with the group energy. Wish you could be there!